Far-reaching government reforms in executive pay – affecting the way that companies must report their directors' remuneration and how shareholders vote on it – came into effect in October 2013, with new legislation on remuneration reports for UK-listed companies. Almost all companies have now made their first reports under the new regime. This new research project by E-reward.co.uk has examined the first batch of remuneration disclosures.Much of the guidance over the last year outlined how organisations should interpret the new regulations, but this study uniquely examines what they did do. Organisations chose a whole variety of approaches making it clear that disclosure has some way to go before a consensus on best practice is arrived at and the policies themselves continue to evolve. Despite all the guidance available, organisations were provided with a reasonable amount of scope to interpret the different regulations and our report highlights how approaches varied, as well as outlining the more and less common forms of disclosure that were provided. In addition to approaches to disclosure, the study illustrates how companies' policies vary with each element of remuneration. This makes it possible to build up a comprehensive picture of the latest reporting environment and the policies to emerge. 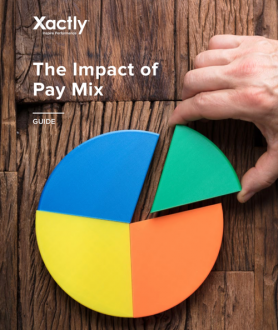 Additionally, the report compares and contrasts how different companies approached disclosure under the new regulations and will allow you to understand the whole range of strategies used for each discrete element of remuneration policy – effectively to benchmark both disclosure practices and policy. Focuses mainly on UK's largest companies, the FTSE 100. Draws on information from smaller companies, and even overseas, where disclosure or policy exhibited unique practice. Almost 200 company reports examined, including 90% of FTSE 100 available up to mid-November 2014. Draws extensively on named-company examples, highlighting numerous notable instances of good, poor and innovative practice. 100 different tables and charts relating to each section of the regulations with most containing numerous named-company examples. Overall verdict on the success of the new regime, while outlining some of the implications for future policy. A checklist summarises the range of approaches that companies used when disclosing all the main elements of remuneration policy that appear in the future policy table, as well as the corresponding institutional investor requirements. Examines all aspects of the regulations covering annual statements and annual remuneration reports. Statement of voting at general meeting. Outlines companies' future policies, how the policies will be implemented in the coming year and the outcomes resulting from their implementation in the previous period.